1st and 3rd grade are here! 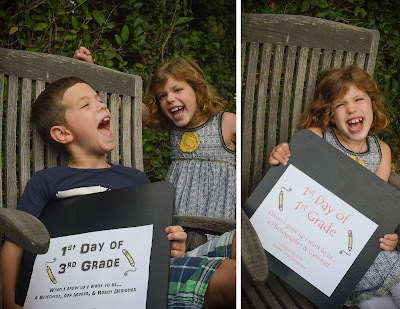 Jackson and Audrey are wrapping up their first week of the 2016-2017 school year, and I'm thankful to say they're off to a good start (knock on wood!). 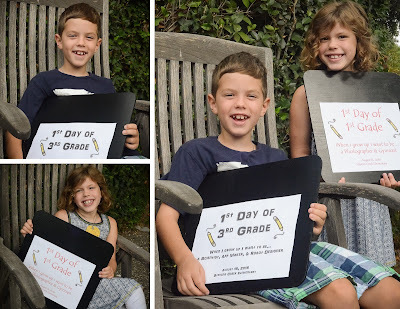 This is their second year at the same elementary school...a first for our kids. It was fun to see Jackson walk up to the school confident and comfortable, and Audrey was adorably excited and nervous. 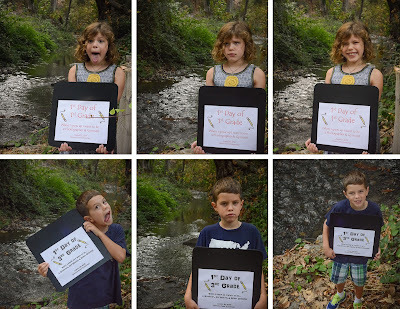 After waking up and eagerly getting ready for school, we did our 1st day photo shoot. In preparation I asked each of them what they want to be when they grow up. Jackson still wants to be a scientist, but he's also added app maker and robot designer to the list. Audrey wants to be a photographer and a gymnast this year. They both have a wide range of capabilities, so I have no idea what they'll end up doing as adults. I do know that getting some real smiles from these two involves some silliness in the process. I love these kids! They are so much fun! 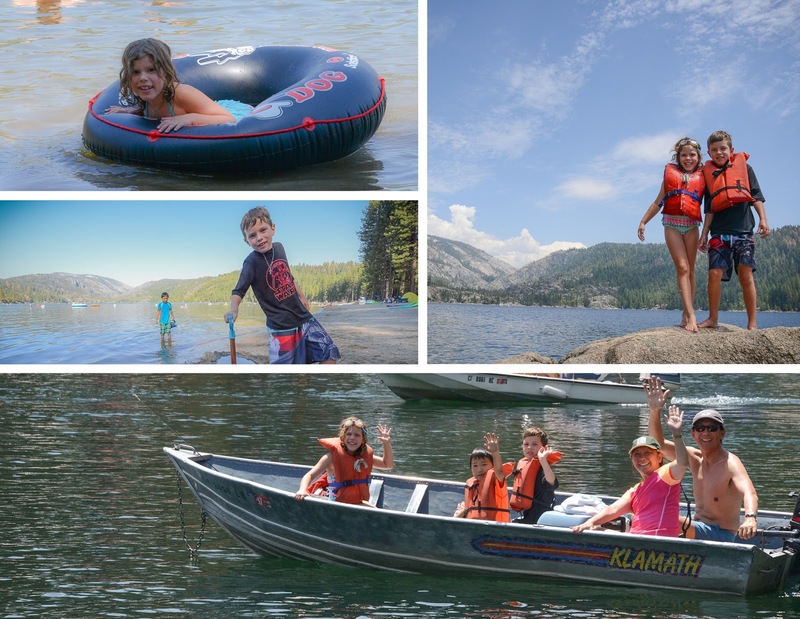 We had such a great week at Pinecrest Lake with some friends from our life group a few weeks ago. We spent a few days in a beautiful cabin and enjoying the great outdoors. All of it was amazing! The kids loved playing on the "beach" at the lake. We rented a kayak one of the days and took turns checking out the lake. When the adults were done, Audrey decided she wanted a turn, so Ross took her out on the Lake. She did awesome! The boys were busy making their own tide pools, which they thought was a blast. When we weren't at the lake, we were busy eating, playing games, and looking at the stars and planets and rocket boosters reentering the atmosphere. It was incredible! We saw Saturn and Mars through their telescope. We saw a few shooting stars, and then we saw this huge mass entering the Earth's atmosphere and breaking apart across the sky, which we later learned was a Chinese rocket booster. Pretty cool for a couple of space geeks. 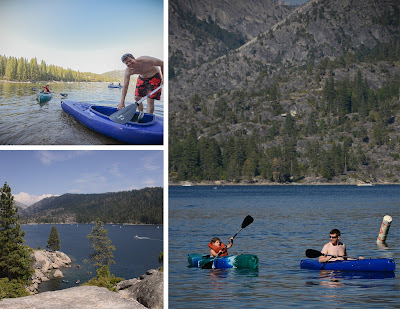 We were back at the lake each day, so we did a little boating, fishing, and hiking while we were there too. It was a great way to spend one of the last weeks of summer. Great friends and great experiences make wonderful memories! There are more pictures in the album as usual!